a. 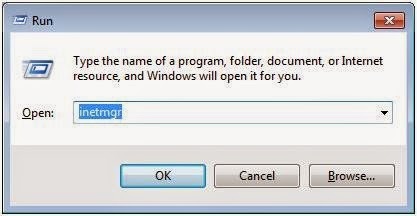 Open the command prompt in administrator mode. 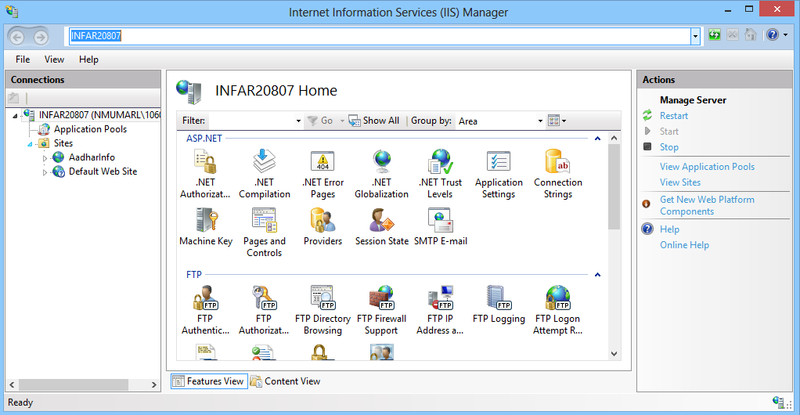 To do click on Start button then type RUN in search and then in Run window type inetmgr to open IIS. Give any name of your choice as the site name. I am giving name here AadharInfo. You are free to give any name of your choice. Now in the physical path section, we need to give physical path of the service. So to get the physical path of the service, right click on the WCF Service project in visual studio and click open project in windows explorer. 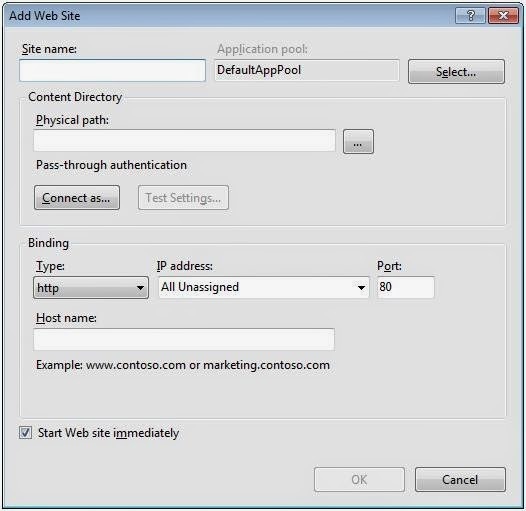 Open the project in windows explorer and from address bar copy the path and paste that below or you can browse also. Just click on browse button and navigate to project folder of the WCF Service. Now at the Binding section select HTTP. User is free to give any port number. In our metro application we have given the path reference to service at port no 8080, so i am selecting the port as 8080. 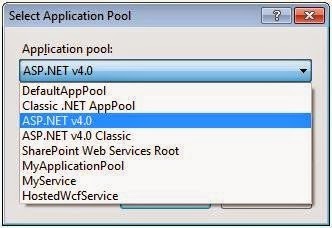 Now the service is hosted and can be used for the any application. Click here to see how this service can be used in Metro Application to even run unsupported features of metro applications. If port no 8080 is used then there is no need to make any changes in the solution. 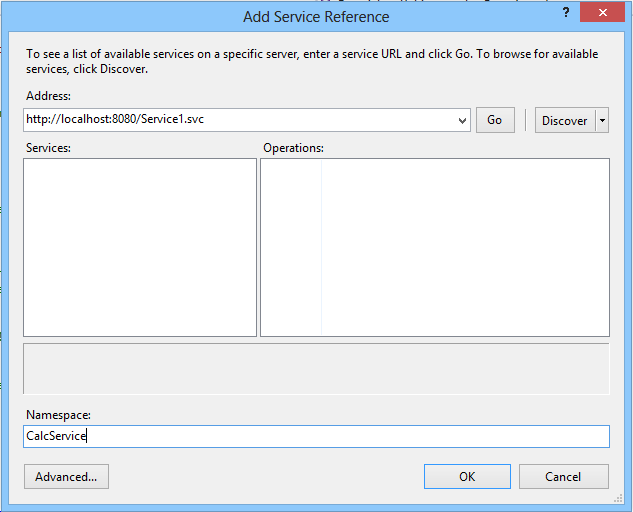 In case there is a change then In solution explorer, on the solution right click and go to add service reference. You get a Screen similar to below. Just replace the port number used and click OK. Now you have successfully deployed the Aadhar Service on IIS. 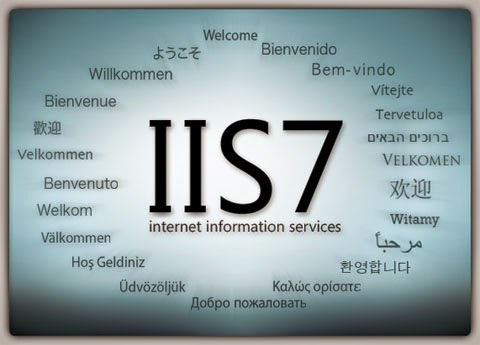 No Comment to " How to Deploy or Host Service in IIS - First Timers Guide "